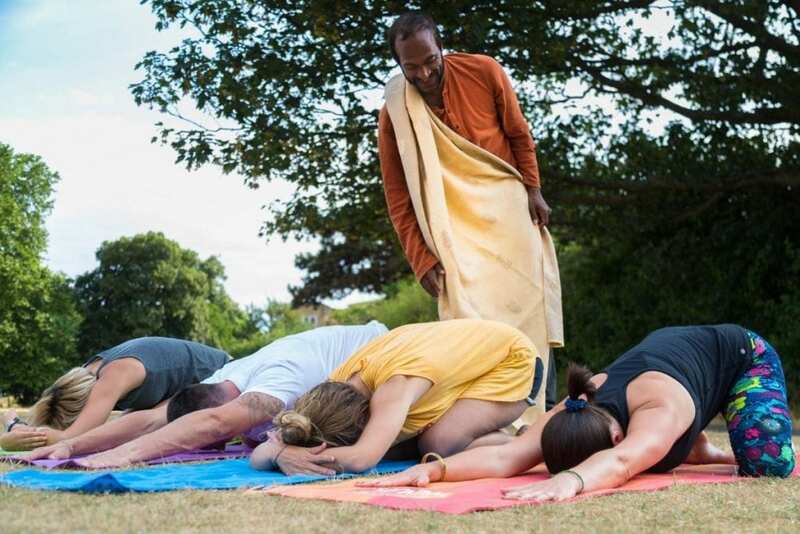 Actually, different types of yoga are a recent development. For me, yoga is just yoga. We make reference from the classical books of Indian philosophy. It’s all explained in different books and dates back many thousands of years. People who can’t understand the classical type move on to the others. The type I teach is more authentic, it’s more than intense, it has a depth. New types are superficial. The Daily Mail (UK) highlights the annual Maha Shivaratri festival in India, where the chief feature is the appearance of sadhus or religious hermits and holy men. The elusive Naga Sadhu holy men of India have been caught on camera at an annual Hindu festival in which they bathe in sacred waters in homage to Hindu God Lord Shiva. 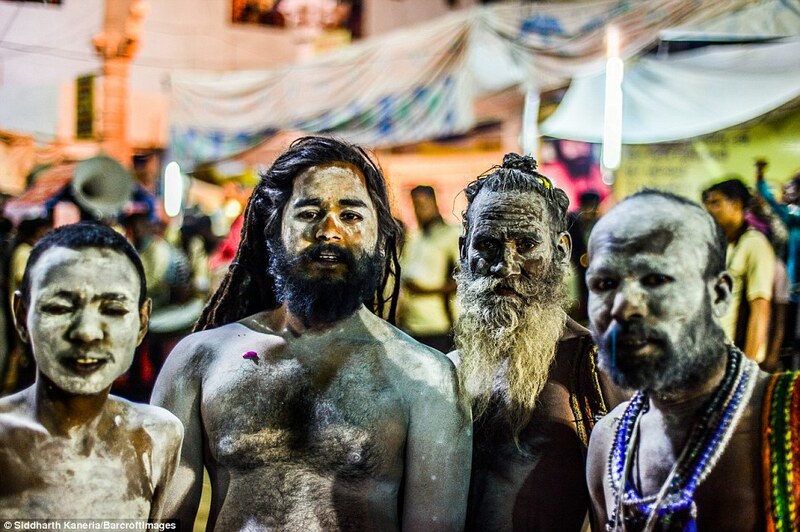 In March 2016, photographer Siddharth Kaneria ventured to the ancient Indian city of Junagadh to capture the men worshipping Lord Shiva at the Maha Shivaratri festival. The festival falls on the thirteenth and fourteenth days of the Hindu calendar month Phalguna. 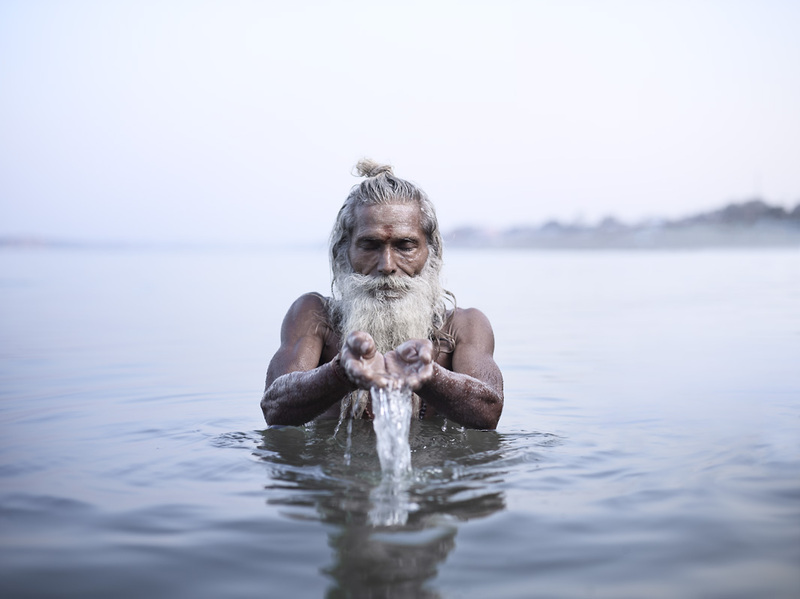 Brooklyn (NY)-based photographer Joey L. offers a portfolio titled “Holy Men” on his website, 39 photographs of Hindu sadhus of India and Christian hermits of Ethiopia. From <i>Russia & India Report</i> comes this item about a Russian living in India for 15 year as a hermit and now expelled by the government of India based on the hermit’s illegal status and his new desire to return to Russia. Kirill Pomerantsev has spent 15 years in India living in the forest, studying Hinduism, and receiving food from locals. “There are no issues in the wilderness. The local people are extremely kind; they helped me in every way possible, sharing their potatoes, beans and flour with me”, notes the Russian. Pomerantsev explains that in addition to the food he was given by local people, he also ate greens that he picked in the woods. He used the flour to make chapattis. “I would get up at five in the morning, have a wash, meditate, drink some tea, clean the house, perform puja and study literature. I can read Hindi, a language that I have taught myself”, explains the former hermit. The Japanese photographer Masehisa Fukase’s book of haunting photographs published as Karasu [Ravens] and published in English in the 1980’s as The Solitude of Ravens is getting renewed attention due to a British Journal of Photography award as the best photography book in the last 25 years. See Guardian announcement and photo gallery. Fukase’s photographs of ravens in various grains of black and white evoke at once a sense of unease, repulsion, pity, and despair — as intended. The English translation adding the word and connotation of “solitude” attempts to capture the sense of alienation, strangeness, the status of pariah, outcast, of deformity and repulsion. It is almost unnecessary. Elements of Japanese aesthetics, of wabi-sabi, can be identified, but the naturalism of the photographs becomes “unnatural” to most people’s sensibilities as otherwise comfortable onlookers. Both the art and psychology of the photographs are compelling in a new and different way than anything modernist. Ravens are what they are but Fukase’s relentless lens inevitably provokes an analogy to human beings, to human society, to the ambivalence of real or contrived feelings of ugliness we all harbor. Solitude here is both the condition of ravens but also the result of our uneasiness. An elderly Indian hermit man has stunned doctors in the western city of Ahmenabad, after claiming he has not eaten of drunk anything for seventy years, and then proved that he can survive without fuel or water for four days. Prahlad Jani who is known by his followers as Mataji, which means the Mother Goddess, is an 82-year-old. Medical staff, researchers and scientists from New Delhi-based Defence Institute of Physiology and Allied Sciences of India (DIPAS) carried out an observational study on him after he made his claim, to verify whether it was a hoax. But, staff are astonished that he has survived even their four day test, let alone seventy years without food and drink. Neurologist Sudhir Shah of the Sterling hospital where the study was conducted on Jani claimed that his survival and biological processes are miraculous. He said: “I want to tell you that we are all watching a miracle in the science, or biology so to say, because it is already 108 hours since Mataji’s admission into this hospital and he has not eaten anything; he has not drunk a little drop of any kind of liquid but more importantly, he has not passed a drop of water or stool. Mataji claims he was blessed by the Hindu goddess Amba when he was just eight. Ansuman Biswas has been selected by the Manchester (UK) Museum as its “hermit” in residence for a 40-day period, June 27 to August 5. Buswas will be alone and in silence in the Museum’s tower, functioning as “living art” among the 4+ million pieces in the collection of the Museum.